Upon its opening in 1994, the Landor Theatre was originally known as the Cage theatre. 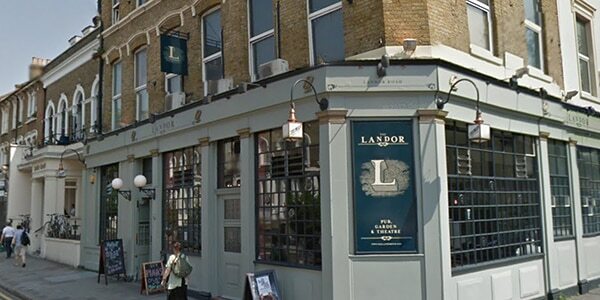 It quickly became Upstairs at the Landor in 1995, and finally, after a refit of the building, the Landor Theatre in 1998. The central focus of the Landor is the staging of musical theatre. This includes revivals of popular shows, forgotten classics, and a season of new musical theatre called From Page to Stage. The theatre also hosts regular open mic nights and a cabaret season. The Artistic Director of the theatre is Robert McWhir, who has held the position since the opening of the theatre. Notable productions from the Landor include Follies, City of Angels, and I Love You Because.